I have a great appetite, many cravings and I long for so many things. But these cravings and longings are not always for the word of God. They are not always for God Himself. There are so many things that vie for our attention and command obedience to them. But as blood bought believers our longings and our cravings should be for The God who saved us and called us with a holy calling. When we turn our faces away from God and go in our own direction we find ourselves in a place that is foreign, scary, and hard. Our longings and fleshy appetites are deceptive. Just like Eve, we are tempted to doubt God which shows our lack of fear and trust in Him for our well being. If we are not listening and seeking the guidance and direction of God we will find ourselves like Israel in captivity to our enemy. The wonderful sad thing is, God gives us clear concise instruction, for our good and His glory. Yet, we still look at other things and try out the world just in case God’s way is not the right way. God had chosen Israel for His own possession. He had delivered them out of slavery in Egypt and promised them a land flowing with milk and honey. God gave them the covenants, the Law, the temple services and His promise of the Christ. He gave them everything that they needed for life and godliness. With the covenants and the Law came consequences for their actions. If they were obedient to God and His word there would be blessings but if they were not obedient there would be curses brought upon them. Let’s read the following passages that Moses and the Levitical priests read to the people of Israel before they crossed over the Jordan to the land God had promised to them. Because of Israels disobedience to God, He sent Babylonian invaders to Jerusalem to destroy the city and take men, women, and children into their godless nation. Israel would remain in captivity for 70 years. An account of the rebuilding of the city of Jerusalem is recorded in the book of Nehemiah. 70 years of captivity are complete and a remnant of Israel returned to their homeland, Jerusalem. The walls of Jerusalem were destroyed and the gates burned with fire. The people were in great distress. All because they did not fear God or hunger and thirst for His word. Nehemiah was rending his heart before God. He knew that he and his people had acted corruptly against God. They had not kept His commandments, statutes or ordinances. Nehemiah prayed to God that He give him favor before the king to go to Jerusalem and rebuild the walls and gate of his city. God did grant Nehemiah favor before the king, and chapters 2-7 is an account of Israel rebuilding the walls and the gate of their city. The book was opened and read to the people of Israel. Nehemiah says that as the book was read the people were weeping. As they read more and more of the book God opened their hearts to see that they were not observing the commandments and the law of God. Nehemiah goes on to teach us that they began to separate themselves from all the foreigners, and confessed their sins before God. I believe the book of Nehemiah serves as a warning and an encouragement to us today. Like Israel, the people of God today have turned to their own ways forgetting that the Word of God is sufficient for our teaching and training. 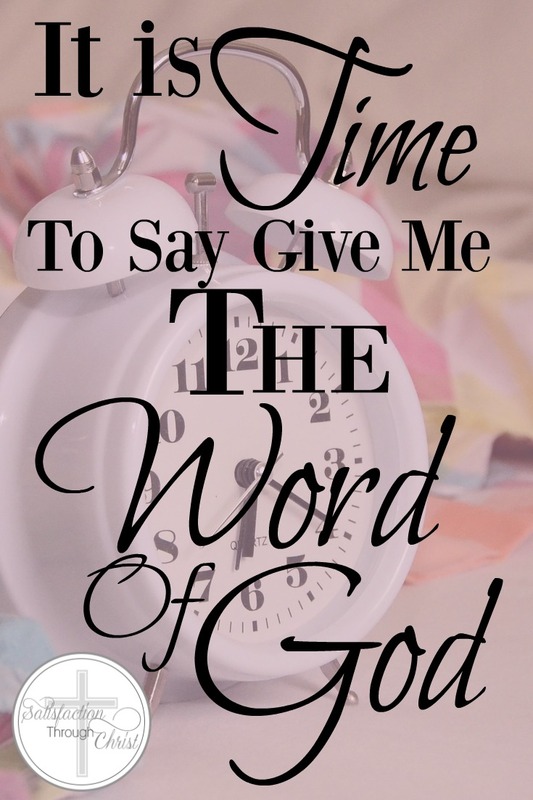 It is time for the people of God to return to the word of God. God’s word is a lamp unto our feet and a light unto our path. If our delight is in the Law of the LORD and we read and meditate on His word day and night we will be like trees firmly planted by streams of water. Unlike Israel, we will not spend 70 years in captivity. I am not saying hard times won’t come. I am saying we will not be held captive by our enemy. God will protect our hearts and minds in Christ Jesus. In Nehemiah 3 we see the people, men and women, pitching in and rebuilding each section of the wall and gates of their city. I can picture in our day men, women, boys, and girls returning to their ruins and with the word of God and prayer rebuilding their lives on the word of God. Trusting Him to do what He says He will do. The only thing that will help our nation is the rebuilding of families that are steadfast and strong in the word of God. God is the only one who can save us and He says He will if we return to Him. I pray for us to begin to remove ourselves from the foreigners of this world, with Hands lifted high and voices crying out Amen, Amen to The God of heaven and earth. Will you ask for the Book, today! Oh, how we often neglect the greatest lasting treasure we have, God’s Word, for perishable things of this world. Thank you for encouraging us to read The Book, the Scriptures, the Bible, God’s Holy Word, which offers joy, hope, peace and love which the world cannot give.